MUNCIE, Indiana NEWS – Indiana’s largest environmental policy organization expressed disappointment about a federal decision not to add additional pollution controls and testing to a proposed settlement in a civil penalties case focused on Exide Technologies, a lead smelter facility near Muncie that has repeatedly violated the Clean Air Act. Earlier this year, more than a dozen* public health, neighborhood, environmental, and public health organizations, led by the Hoosier Environmental Council, urged the U.S. Department of Justice to add additional pollution controls to the proposed settlement to better protect people in Muncie from lead and arsenic released into the air by Exide. The organizations also asked the DOJ to require Exide to include monitoring for pollutants at Exide’s fenceline. “While we understand the DOJ’s legal argument, the decision is disappointing. Lead is toxic to a developing child’s brain even in tiny, microgram quantities, so every pound of lead pollution reduced is beneficial. Lead in air pollution settles onto the soil fairly rapidly. 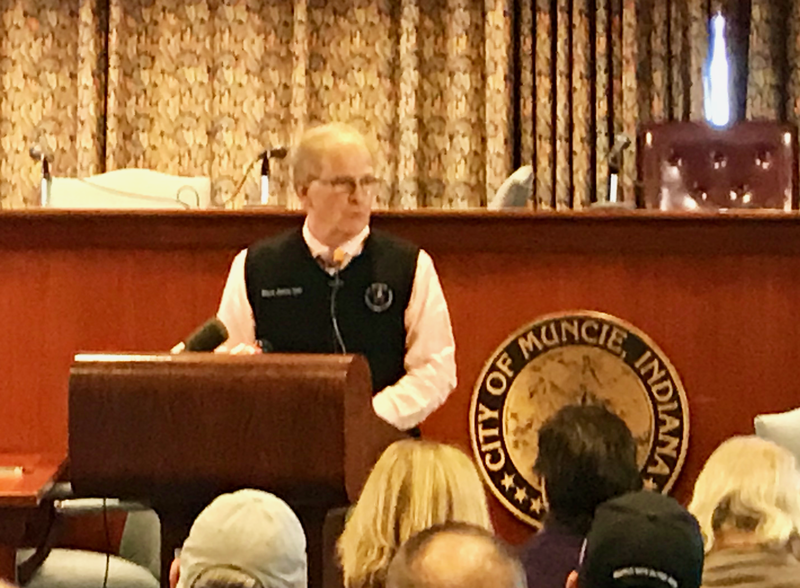 Lead smelters in other parts of the country have contaminated neighboring properties with lead more than a mile away, and the same could be happening in Muncie” said Dr. Indra Frank, environmental health director for the Hoosier Environmental Council. Indiana already has a similar lead pollution control technology in place, so the request by this public health coalition was not new for the Hoosier state: A comparable lead smelter, owned by RSR Corporation in Indianapolis, is already using the pollution control technology proposed by the coalition. The move in 2012 won RSR Corporation state environmental awards and cut the smelter’s lead pollution to a fraction of its prior level. Since it was gaps in federal standards that allowed this decision on the Muncie smelter, the Hoosier Environmental Council will join national organizations advocating for stronger federal standards for lead smelters and lead pollution. *Other groups that signed on to the letter to the Department of Justice include the Indiana Public Health Association, Hoosier Interfaith Power & Light, Sierra Club, Citizens Action Coalition, Earth Charter Indiana, Improving Kids’ Environment, Save Maumee, the Robert Cooper Audubon Society in Muncie, South Central Neighborhood Association, Forest Park Neighborhood Association, Gatewood Neighborhood Association and Save the Dunes. Muncie Mayor Dennis Tyler, State Representative Sue Errington also signed letters making the same request to the DOJ.